Today brings another dollop of data on the housing market. The Wall Street Journal carries a story about a drop in real estate listings in April. An outfit called ZipRealty reports that listings were down 3.6% from March. In general, April is an up month, with the average monthly increase since 1982 being 4.8%, so the down tick is significant. Listings were off 21% from April 2008. This could be an indication that the number of sales will be down in the coming months, which as I have written before, is bad news if you are a real estate broker. But what if you are an ordinary reader of the WSJ concerned about house prices, both because it’s a central issue in the current crisis and possibly because you may yourself own a house? Then this isn’t news at all. Fewer listings could mean that the supply of cheap houses is being exhausted and soon buyers will start bidding up the prices of what’s left. Or it could mean that sellers have become discouraged and have pulled their houses off the market, waiting for conditions to improve. Or half a dozen other reasonable scenarios. I am not without sympathy for newspaper reporters. The housing market is a big deal that everybody is interested in, and yet, it doesn’t produce much in the way of news. The current downtrend in prices began almost three years ago and dismally continues still. The most germane and hopeful thing to be reported about it is that the rate of decline in house prices may have slowed lately. Every week or two, some real estate outfit puts out a press release with some item of not particularly newsworthy data. And the media seizes on it as if it means something. Last week it was Zillow.com with a report on the increasing number of homeowners who owe more on their houses than they are worth. The WSJ dutifully reported this with the firm-grasp-of-the-obvious title “House-Price Drops Leave More Underwater”. The only data that really matters is the change in prices, and the only measure of that worth taking seriously is the Case-Shiller indexes. They come out at the end of every month, reporting the prices from two months before. (E.g. the April 28 release reported on February.) Even then, the amount of incremental information is tiny. 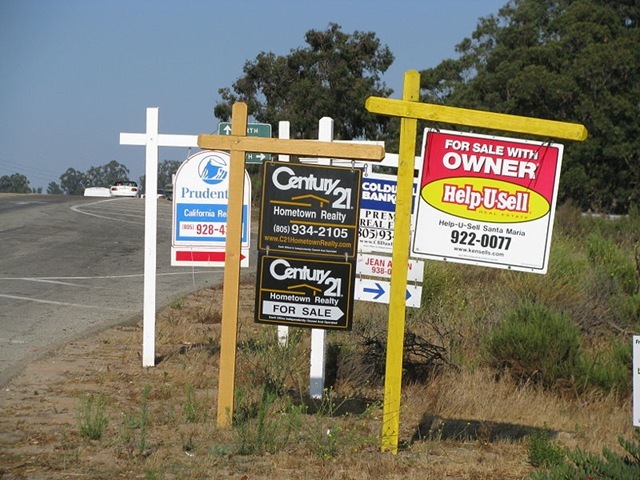 Unlike the media-friendly financial markets, the housing market moves very slowly. Trends take years to build up and years to play out. Which, you might think, would be an opportunity for reporters to take the time to dig deeper into the story, instead of rephrasing the day’s press release. They could, for example, explore the impact of foreclosed houses being sold at auction on overall prices. Or what’s going on with the several government programs now in place to help out homeowners and strengthen the market. Or even, dare I say it, a run a thoughtful re-examination of how we got into this mess in the first place. Alas, no. Thank you for the post! It is good to know that at least someone else notices that nobody talks about what is happening with real estate. The government programs are pretty much useless, I’m still waiting to see someone or a news media talk about how these programs are helping homeowners. The FHA Loan Refinance program only help those whose mortgages are owned by Fannie Mae or Freddie Mac, but for the rest of us whose loan is not owned by Freddie Mac or Fannie Mae there is NO HELP. We bought our house in 2005 for $400,000, put 80% down, and reduced our loan balance to $270,000 adding money saved to the principal. Now the house is worth $290,000 and if we want to refinance to take advantage of the low interest rates, we will have to pay an absurd amount of money on PMI, since we can only refinance streamline. And yes, nobody talks about that. Which, you might think, would be an opportunity for reporters to take the time to dig deeper into the story, instead of rephrasing the day’s press release. I made my living as a reporter for many years. My biggest frustration (it is what drove me to learn about financial freedom) was that I couldn’t tell the real news to my readers. You would attend a hearing or a press conference and you would know within five minutes what you were supposed to take from it. You would dig through the material to find something of more value and, if you worked it hard, you often could. You would do interviews all afternoon to develop the better story. You would turn it in to your editor and she would love it. Life was good. Yes, ma’am. I’ll do that. Until you reached a point where you just couldn’t anymore.